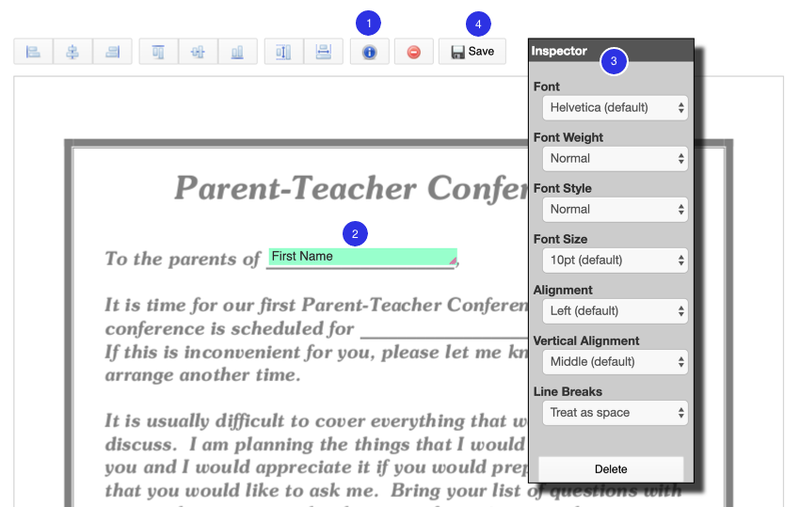 You have the ability to attach your own customized form letter using our form letter setup tool. If you’ve already used our layout tool with attendance letters, elementary report cards, and/or behavior letters, this tool will be familiar to you. This lesson will walk you through how to add your own customized form letter using information from a custom report. 3. Select a custom report from your list. 1. Enter a Name for your letter. 2. Optional - Add a Description. 1. Click Choose File to open the appropriate file stored on your computer. You will be directed to the Edit Layout page after clicking Save. We only support PDF formatted files, but any file type (Microsoft Word, Excel, etc.) can be turned into a pdf. The columns from your custom report (a.k.a. blocks) will display on the left of the PDF template. Click and Drag the block to where you want the information to appear on your letter. Release your mouse click when the field is in the spot you want. Click Save when you're done adding blocks to your PDF. If you try to select a block that you have already added, the block will flash in red with a note explaining that you have already added that block. Adjust the block to fit within your print area by placing your mouse over the lower-right corner of the block, clicking, and dragging/dropping the block's boundary's out or in before releasing your mouse click. Click on the Formatting Palette (i) icon. Once you release your mouse, the selected block(s) will turn green. To remove a block, select a block and click Delete from the Formatting Palette. 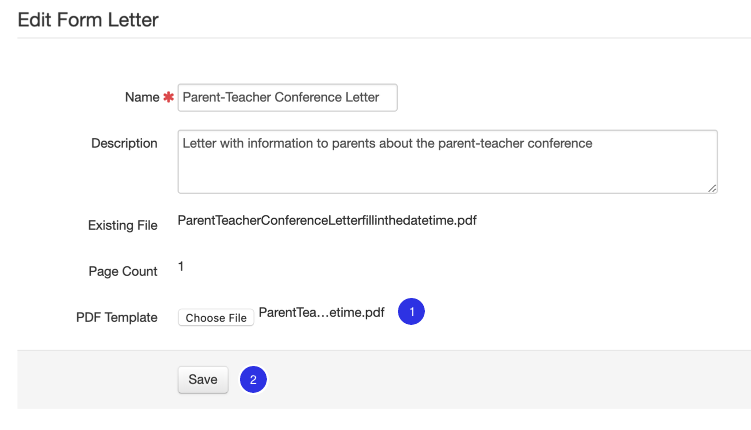 Click Download to generate a file containing your form letter for each of your students. See the Add Columns to a Custom Report lesson to add additional blocks to your form letter.